Maybe it's because I just came off of the Thanksgiving brain-break, but I went for it. 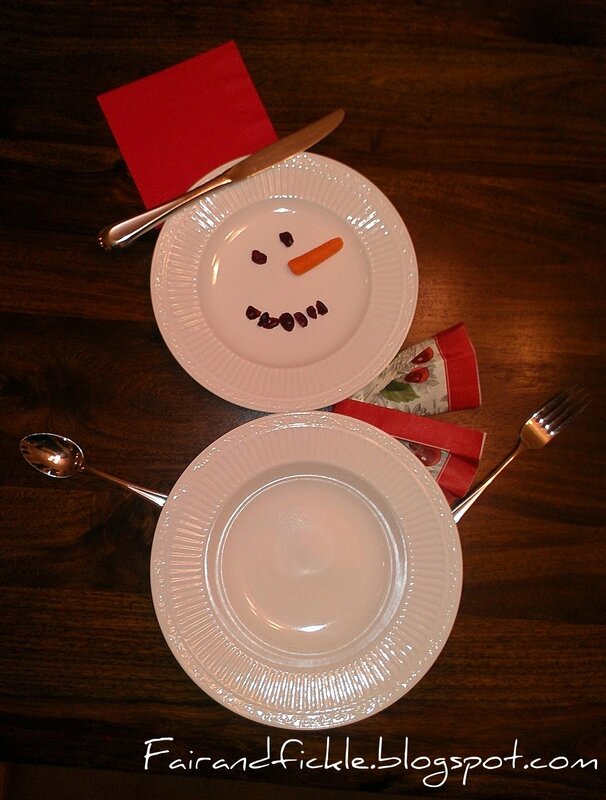 It took about 5 minutes longer than usual to set the table and the boys were surprised and excited when they saw the snowman place setting. No, my kids don't use a knife or a fork with their chili- but two napkins were pretty helpful. Does anyone else have kids that think the napkin is for their drink to sit on? Drives me crazy. I'm linked up with Alderberry Hill, Be Colorful, Between Naps on the Porch, Home Stories A2Z, Nap Time Creations, You're Talking Too Much, and Today's Creative Blog! I say we do this when we eat out Christmas meal together! Hi! this is SOOO cute! Thanks for linking up to Tasteful Tuesdays at Nap-Time Creations. You are going to be featured at the party this week! Stop by and check it out. http://www.nap-timecreations.com/2012/12/juneinspired-by-guest-post-delightful.html the link will be live tonight at 8:30 central time.